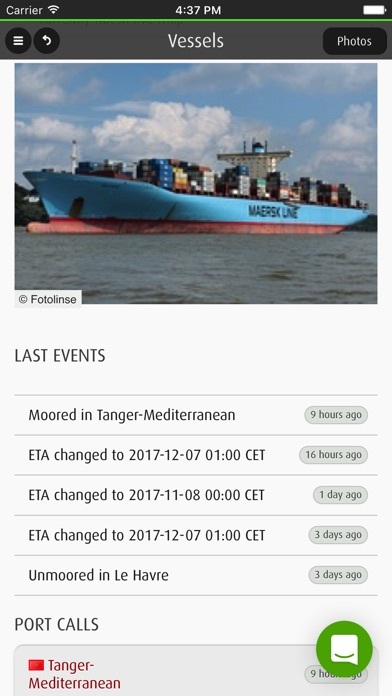 Search for ships all over the world and enjoy real-time live AIS positions with great coverage at your fingertips! 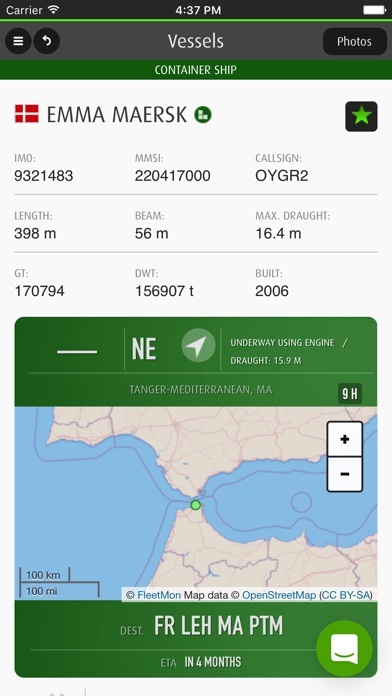 FleetMon Explorer is the companion app of our vessel tracking website that lets you look up ships and gives you instant access to the extensive vessel information of FleetMon, the open ship database. A FleetMon Open account is recommended to make best use of FleetMon Explorer. You can register on our website. The list of your favorite vessels will then be synchronized with your "My Fleet" on our website. 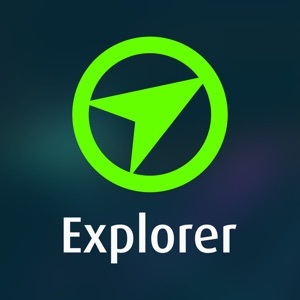 This way the FleetMon Explorer app makes it easy to stay up-to-date about your fleet, even when you are underway. Search for your specific vessel of interest and store it into your "My Fleet" for alerting and monitoring. 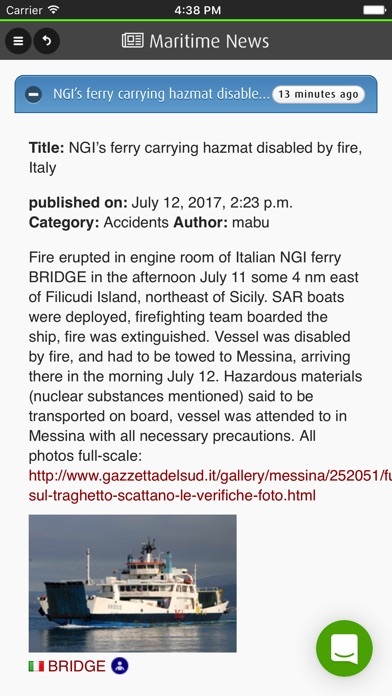 Inspect name, type, speed, draught, deadweight and destination of searched vessels, their schedule and recent port calls. The table views provide details on actual times of arrival and departure. Awesome ship photos contributed by the FleetMon ship spotter community are also included in a easy swipe gallery. * NOTES: If you have problems with the app, please send us an e-mail to [email protected] Thanks! 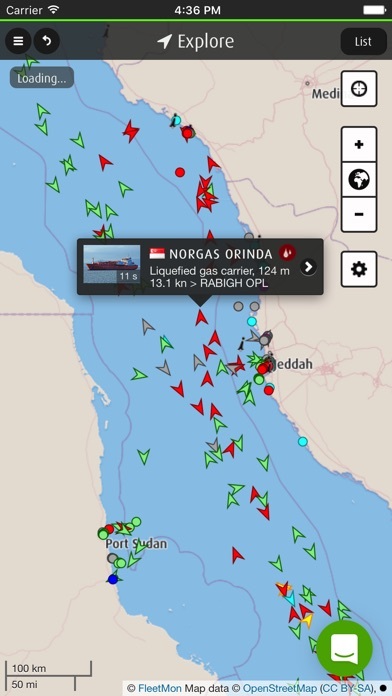 Visibility of vessels in the App depends on AIS signal availability. 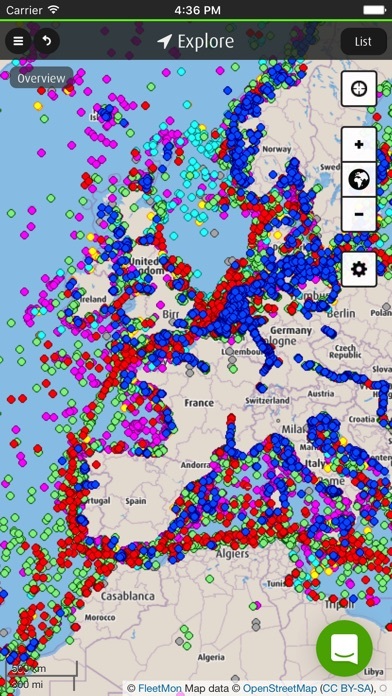 Subscribers of our "FleetMon Unlimited Sat" plans are able to locate (almost) any active vessel in the world through satellite AIS, while standard plans offer near-shore coverage only. See our website for details. Completeness and accuracy of the information provided cannot be guaranteed.